Last week in a book group I facilitated, the topic of “shame” was raised during discussion of author Wally Lamb’s latest novel, We Are Water. One of the main characters, Annie Oh, had been sexually abused as a child. Her shame was wrapped up in guilt and loss, and as a foster child, she received no professional help. She no doubt felt confused, angry, and she lived in a tangled web of shame and secrecy. For years, her anger festered, expressed in her “outsider art” and by abusing her son. Shame, guilt, and secrets caused darkness and deep troubles in Annie Oh’s family. 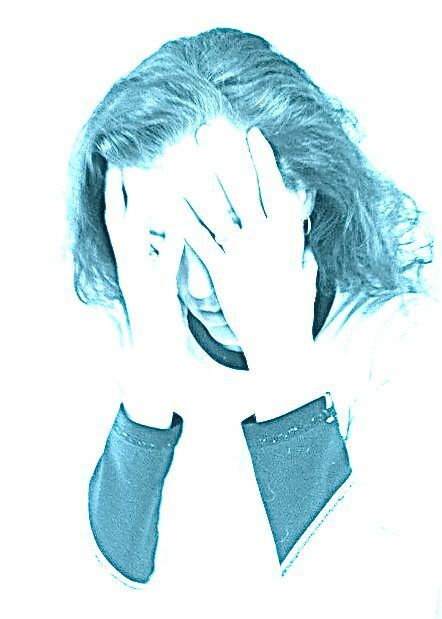 Shame can be useful for enforcing behaviors that keep individuals and others safe in a society. We want criminals to feel shame for socially unacceptable actions. Unfortunately, many criminals are sociopaths, incapable of feeling empathy, guilt, or shame, which can create frustration for those of us who do experience and respond to these emotions and/or have been a crime victim. Most all of us have felt shame at some point in our lives, perhaps as a child, when learning society’s code of ethics from elders. Sadly, some, like Lamb’s Annie Oh character, carry an undeserved burden of shame throughout life. ​T​he Oxford Dictionary says, shame is a distress caused by the consciousness of wrong or foolish behavior. What is perplexing, and not included in the Oxford or Webster definition, is that too often people feel shame for events out of their control, such as being abused as a child or born with a brain that is wired for a mental illness. What does shame do? Shame isolates, leads to secrecy and to hiding one’s truth. Shame denies one the ability to make honest appraisal of oneself, one’s life. Shame is the foundation of stigma and most devastatingly results in a reluctance to acknowledge illness and/or seek treatment. How many times has the media squawked bafflement that an individual who has caused their own death or harm to others had lived with undiagnosed or untreated mental illness? “How could a person or their loved ones ignore obvious symptoms of mental illness,” they ask? For those of us who have a loved one living with a mental illness (most of whom are NOT a danger to others), it is not surprising a person fails to seek treatment, or that loved ones weren’t successful in enforcing treatment. Our society feeds the stigma of mental illness with its solid diet of… yes, shame. 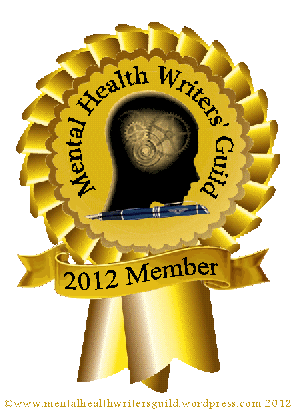 Rarely is a person praised for their hard work of addressing their mental illness and undergoing treatment. It’s usually discussed in hushed tones. Rarely is a person promoted in their job after they’ve revealed their history with mental illness, even if their work had been stellar, and this despite the long list of highly successful individuals living with brain disorders. How can we help to detangle this mess of shame, guilt, and secrecy, and diminish stigma? We can speak about brain disorders openly in the same way we speak about physical disorders. Caregivers, family members, and loved ones must speak up about needing support. Those looking from the outside see no crutches, casts, or blood. Yet, in the home, loved ones are subject to the ill person’s extreme behavioral changes that cause chaos in all the lives around him. Loved ones must change plans as quickly as they are made; they often seem distracted and are overwhelmed. But those looking in from the outside don’t know the truth unless it is spoken about. Starting a conversation about the impact of a loved one’s brain disorder on our family, and more broadly, our society, is not always comfortable. We still encounter a tone-deafness about mental illness. Recently, when talking about interviewing people all over the country for Behind the wall, a man interjected, “You mean you found crazies all over the country?” I bit my tongue and, after a beat and a breath, I continued my effort to share information about mental illness. Some will back away, because this illness has nothing to do with them or their family. And that’s​ okay. 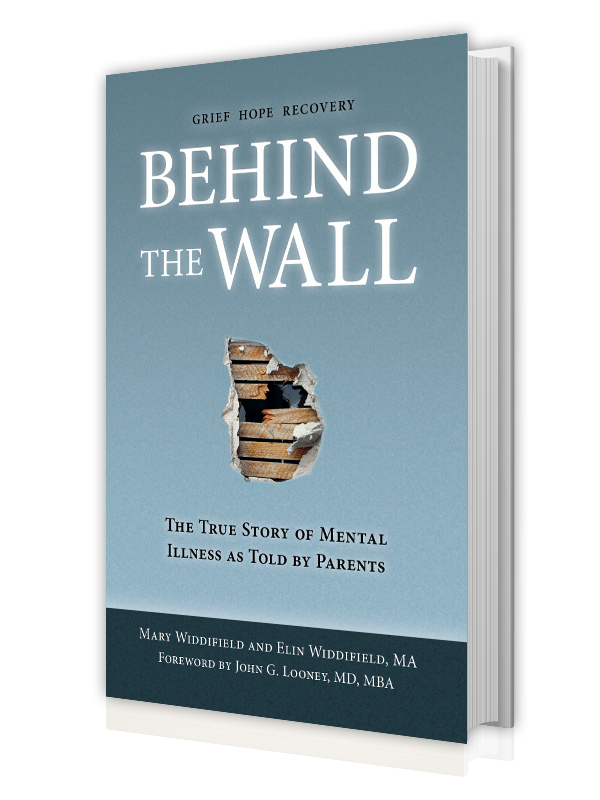 Fortunately, in our experience, most people to whom we speak about Behind the Wall do understand or want to learn about brain disorders. ​The human and economic toll is enormous yet often hidden. Untreated mental illnesses in the U.S. cost more than $100 billion a year in lost productivity… Local hospitals and clinics must cope with associated chronic physical diseases. Schools have to open more special education classes. Courts and jails handle a large number of individuals who suffer from untreated mental illnesses. Suicide ranks among the top fifteen most common killers in the U.S. (in the top three among young people), and 90 percent of cases can be attributed to mental illness. Our society must take responsibility to learn symptoms of an active mental illness. Those of us with experience, and who understand the illness, can lead this effort. An effective step in this endeavor is to demand in our communities that law enforcement, first responders, educators, and anyone else interfacing with the public are properly trained to recognize symptoms of brain disorders and learn how to interact with a person in mental health crisis. ​Brain disorders cause people to behave in odd ways. No doubt. A person with a mental illness may respond to his own inner processes, which may include frightening voices or paranoid beliefs. Atypical brain activity caused by the illness may be reflected an appearance of “not being all there,” and his responses are unpredictable to outsiders. Understanding brain disorders requires respecting that the input affecting his brain processes is unknowable and that his responses to these inputs influence behaviors that are odd and possibly frightening to an outside observer, or family member. These are behaviors of untreated mental illness, or of a person who has experienced a relapse. We can all play a part in identifying misplaced shame for an illness that wasn’t chosen by the ill person and the foolish behavior symptomatic of the illness is out of one’s control. We can all do our part to reduce stigma so that people will seek and receive treatment. We can stop assuming that living with mental illness equates to an inability to hold down a job and living a fulfilling life. Most people who are treated for serious mental illness live full and meaningful lives. Our faith communities and workplace can be inclusive by understanding that the illness has symptoms that should not be conflated with a person’s character, or behaviors when they are well. We can support a person who lives with mental illness by providing a route for skill-building and work experience. We can support caregivers of people living with mental illness by simply listening, taking a walk, or having coffee together.